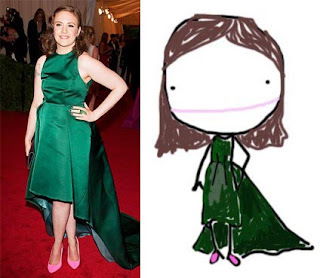 I am loving these sketches by Lucky Magazine's John Jannuzzi of some of Met Gala attendees from Monday night. 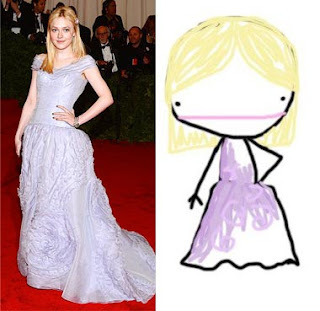 My favorite is the one of Emma Stone; too cute! I only wish he had sketched Mrs. Claus, aka Kirsten Dunst (was not a fan!). PS: Can I just say how much I heart Lena Dunham...if you are not watching GIRLS, you should be! I think Dakota Fanning needs a new hairstyle! 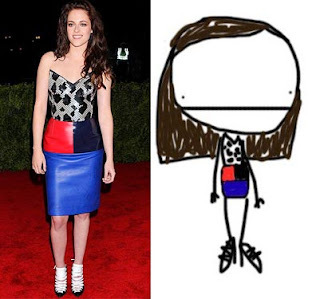 Uh...WHAT is Kristen Stewart wearing?? hahaha i love this!! :) made me smile! wow, those are really cute! How is it that that really does look like Emma even though it doesn't at all? Funny. Yes Lena Dunham (geez she is crazy talented- I love how accomplished she is at 25!!!) 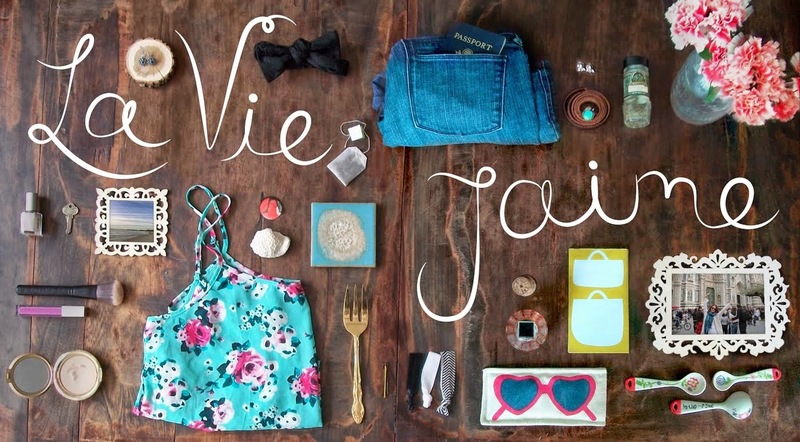 and YES, I am so excited about Girls! I already love it so much. Shut the front door these are so adorable!! 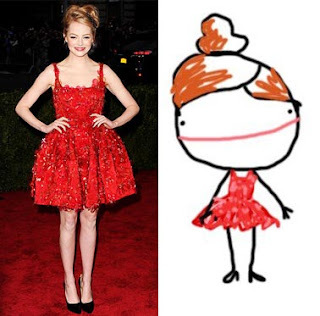 LOVE Emma Stone's haha! Emma Stone is so gorgeous. I am loving Girls as well..I know I am a few episodes behind on the DVR so thanks for reminding me how much I need to go and watch them! I am LOVING Girls too. Such a great show and I'm excited to see where it goes!